Conceived and operationalised for the benefits of the Deaf and Mute neglected, to express themselves talentedly and beautifully to earn an honorable living through training and skill sharpening, while enjoying the job is the most valued projects of SEEDS. 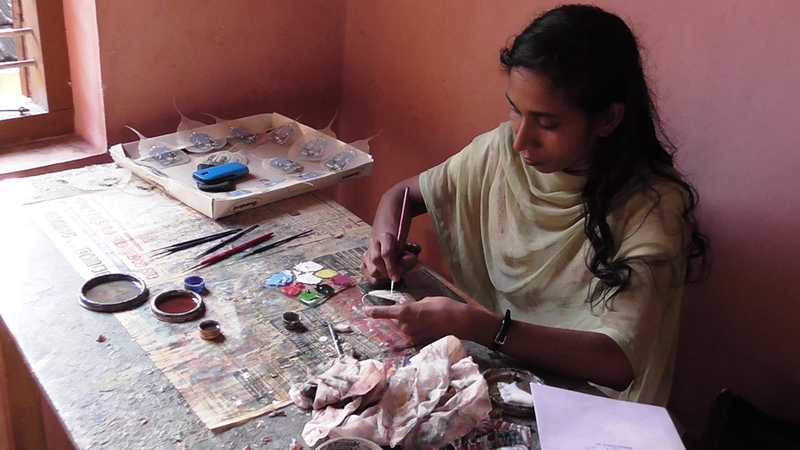 The product cards are oil paintings on the leaves nerves of the pipal tree by hand. As much as 50 poor families of the differently able get financial benefit perennially through this project.